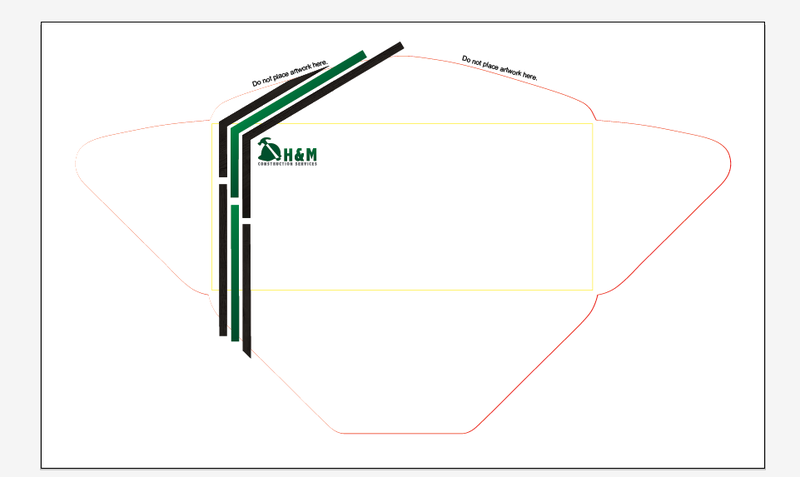 I think you’ll all remember H&M Rel Estate’s logo that I worked on a few months back. So, now you can get excited for their new identity system! I’ve been working with them on a presentation folder, letterhead, envelope, and business card, so I thought it’d be a great time to show you all what we’ve got! 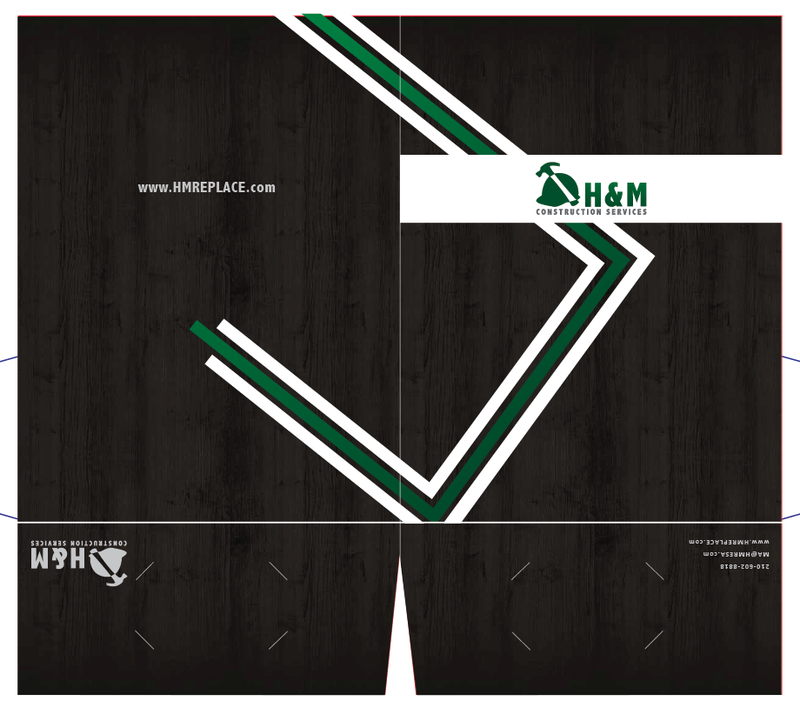 The website that H&M had built around the same time as I was finishing their logo had this really great dark wood grain as a background, so I incorporated that with the green gradient we were already using in the logo. I also gave them the stripe theme to convey their forward momentum as the company evolves and grows, but also as they help their clients move forward on selling and buying properties. Above you see the front on the left, and the back on the right. At the top is the envelope unfolded so you can see how the stripes fold all the way around, and the bottom is just the front of the envelope. Each piece has the opportunity to bear one of the three logos. 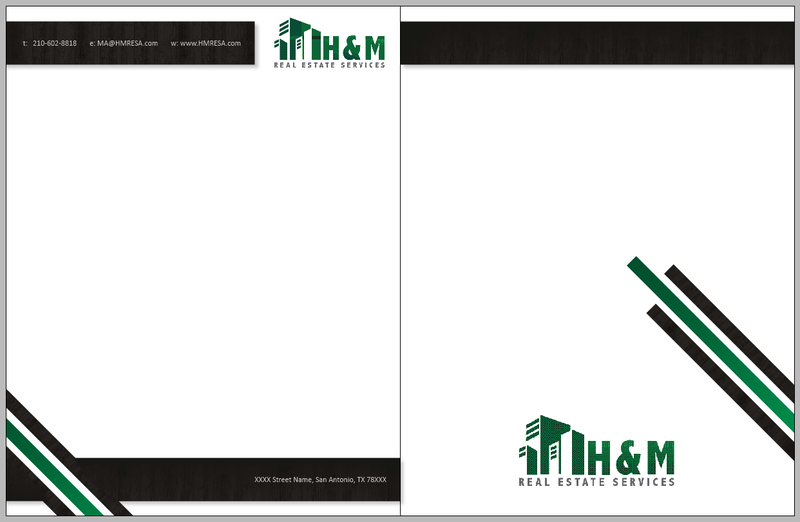 This one will first be printed with the commercial real estate logo that you see on the letterhead above. Again, going with the wood grain background and stripes. This one will be printed with the construction services logo first. Here it’s all unfolded, so the front is on the right, the back is on the left, and the inside pockets with the logo and contact info are at the bottom and upside down. This one will actually be a hard plastic card, rather than the traditional cardstock, and will have either raised plastic, or spot UV over the logo to make it stand out more against the wood grain background. I think this will especially memorable as it’ll have a totally different tactile experience from your typical business card. So that’s H&M’s new identity system. What do you think? Leave your comments below!